The 2018 Grand Cherokee is Jeep's flagship SUV. The 2-row/5-passenger hauler has a variety of models spanning from basic to fully equipped. The new for 2018 Grand Cherokee Trackhawk is being released packing the classic 707-horsepower supercharged V8. An exciting new feature for the Grand Cherokee SUV is the optional Quadra-Lift air suspension with five separate height settings up to 10.6 inches of ground clearance plus lower settings to make entry and exit easier. The Grand Cherokee is rated to tow a massive 7,400 pounds. It's prepared for any trail you want to tackle with many special features like off-road skid plates and low range gearing. It's also very practical for your daily commute and can be fitted with any all of Jeep's luxury features. What are the different trims for Jeep Grand Cherokee? The Jeep Grand Cherokee comes in seven trim levels: Laredo, Limited, Trailhawk, Overland, Summit, SRT, and Trackhawk. Features include adjustable seat lumbar settings, ventilated seats, the Uconnect infotainment system, and materials and controls that are top of the class. There's also excellent sound deadening plus supportive seats with plenty of room to stretch out. There's generous headroom up front and good elbow room even in the highest seating position. This layout means plenty of room for passengers and a spacious 36.3 cubic feet of cargo room behind the rear seat, plus space expands to 68.3 cubic feet with seats folded. What kind of power options are there for Jeep Grand Cherokee? Standard options included for all models are the 3.6-liter gasoline V6 that is highly capable and fuel-efficient, and optional is a 5.7-liter V8 for more power and performance, plus all models have 8-speed automatic transmission. The V6 engine comes standard with rear-wheel drive (RWD) or optional 4-wheel drive (4WD), while the V8 models are 4WD. The most powerful engines are rated up to an impressive 7400 pounds for towing and massive 707 horsepower. Fuel efficiency gets up to 30 miles per gallon (mpg) highway on the standard 2.4-liter I-4 engine. The optional 3.2-liter V-6 engine with stop-start technology delivers best-in-class V-6 fuel economy (29 mpg highway). Also introducing industry-first rear-axle disconnect that results in reduced energy loss when 4x4 capability isn't needed, improving fuel efficiency. What are the safety features for Jeep Grand Cherokee? Standard safety features for all models include advanced multistage airbags for driver and front passenger, supplemental front-seat side, supplemental side-curtain front/rear, supplemental rear side, and driver and passenger-side inflatable knee bolster (10 total). Also included standard is the electronic stability control, which includes vehicle stability management system, Electronic Roll Mitigation, all-speed traction control, Brake Assist and four-channel antilock brake system. Plus, ParkView rear backup camera and Park Assist with dynamic grid lines. Trailer-sway control comes standard as well. Some optional features include Adaptive Cruise Control with Stop and Go (included with Technology Group), Full-speed Forward Collision Warning with Crash Mitigation (included with Technology Group), LaneSense Lane Departure Warning (included with Technology Group). 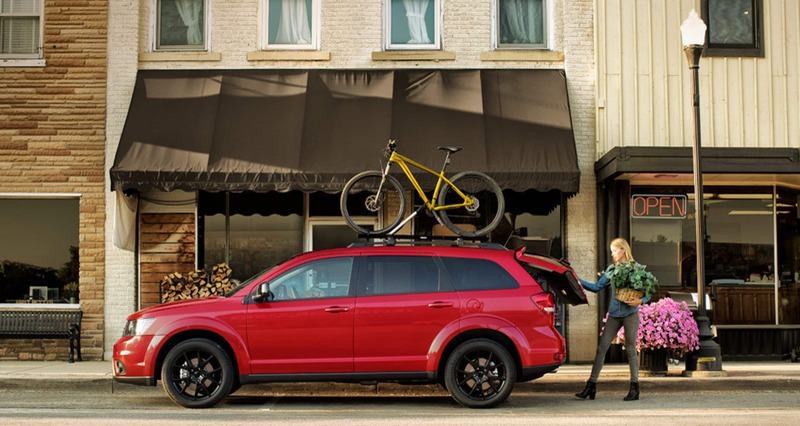 Take all the unique features, add them to the Grand Cherokee's inherent utility and you will have an SUV with something for everyone. If you're looking for a rugged but refined 5-passenger midsize SUV that packs plenty of power and room, then there's going to be a Jeep Grand Cherokee for you. Its off-road credentials are time-tested, and the various trims make it a true luxury SUV. The new Trackhawk, meanwhile, is the world's most powerful and quickest production SUV.